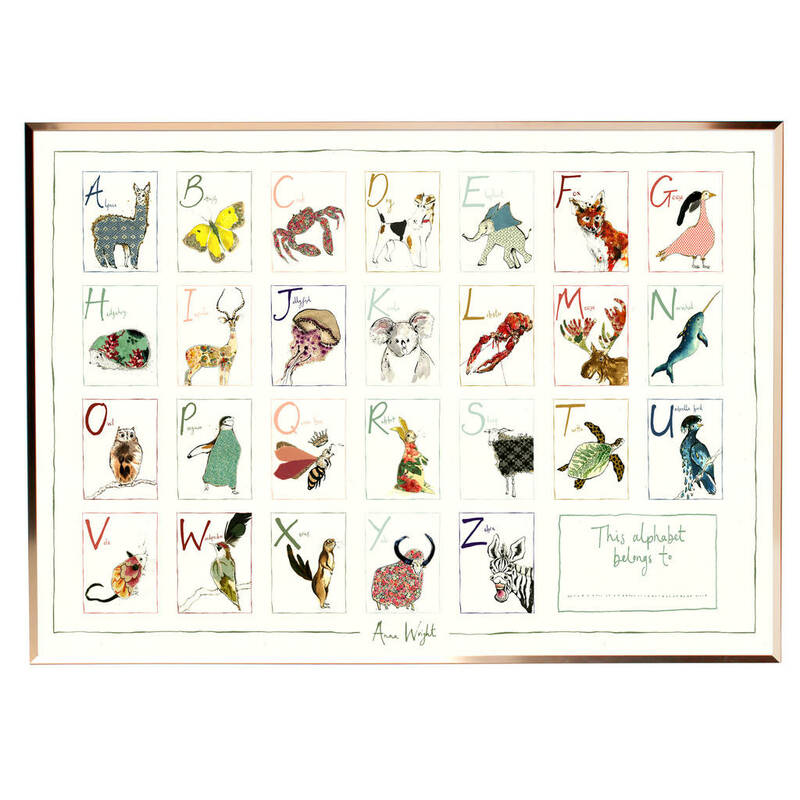 A beautiful poster showing the alphabet in animals from A to Z. Colourful decoration for a children's room. 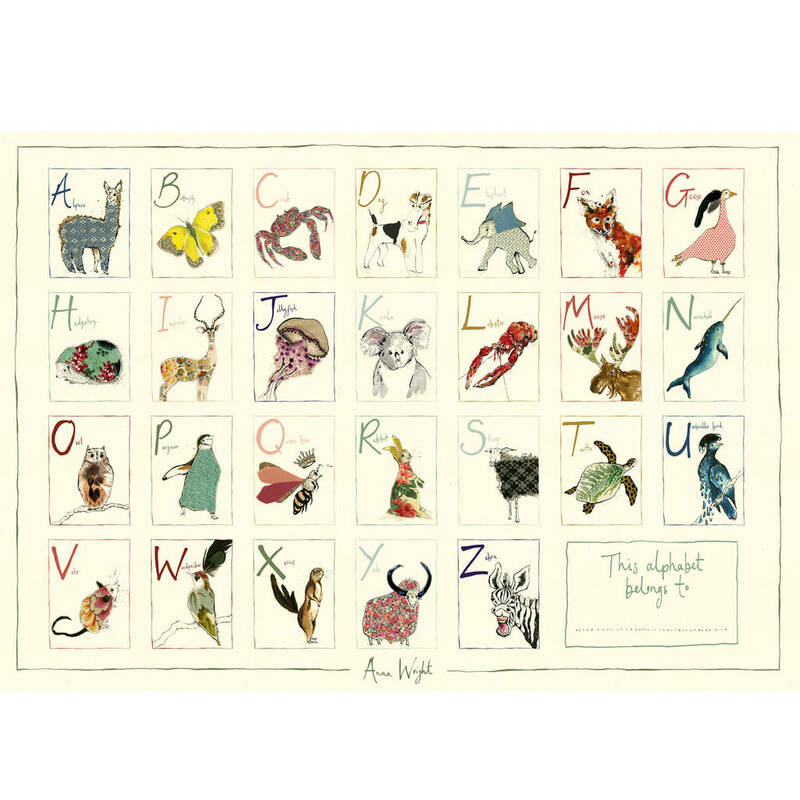 Anna wanted this poster to be full of character and colour to help children learn how to read. 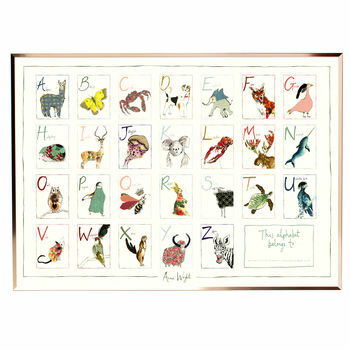 Every letter of the alphabet has a different animal that is drawn in a beautiful mixture of pen, ink, fabric and feathers. Printed on high-quality poster paper. Frame and batons not included. 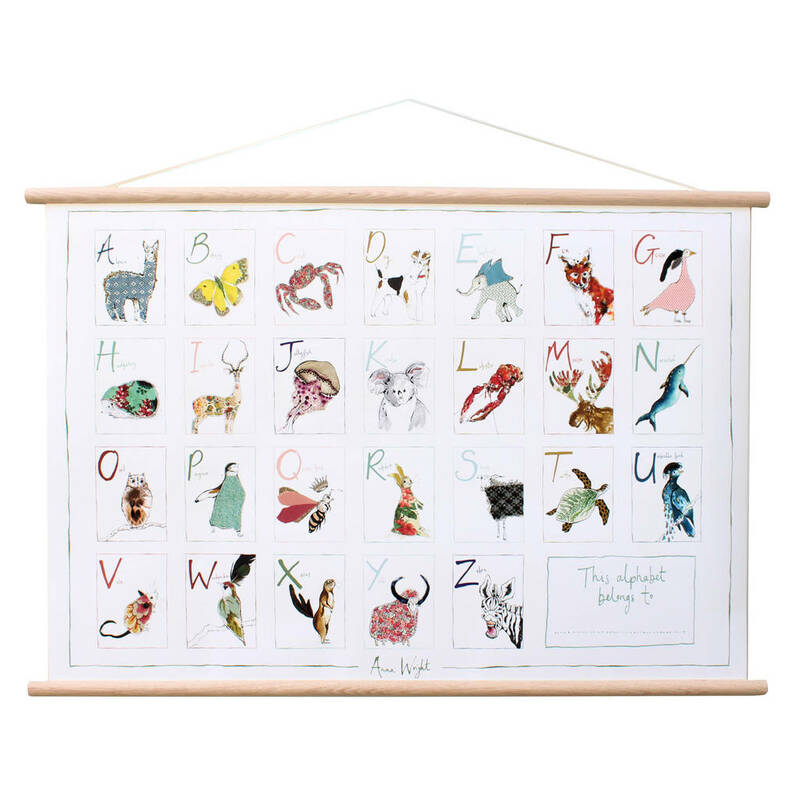 Personalise the poster by filling out the 'this alphabet belongs to' box at the bottom right hand corner. 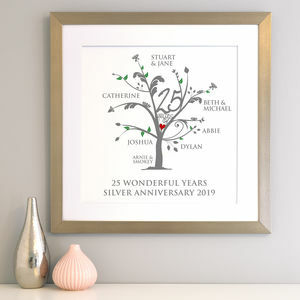 Personalise the poster yourself by filling out the box with 'This Alphabet Belongs To' in the bottom right hand corner of the poster. 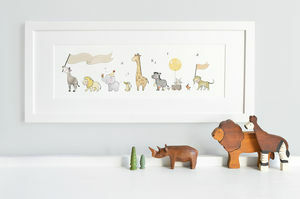 This product is dispatched to you by Anna Wright.